When a relationship ends, the first question many women have when a man they love leaves is: why? It’s hard to reconcile how a love can just evaporate…how a man who once seemed so committed and invested is now gone. Where did the love go? Was it ever even there? Let’s dive in a little deeper and look at the real reasons why men leave women they love. If you’ve read any of our content on male behavior, then you know that men absolutely crave appreciation, and without it, their soul withers and dies. OK, it’s not quite that dramatic but in all seriousness, appreciation is the fuel that keeps a man going in a relationship. And when a man doesn’t feel appreciated by his partner, it doesn’t matter how amazing she is or even how much he loves her, he will not want to be in a relationship with her. Appreciation isn’t just about saying, “thank you.” It’s about truly seeing and appreciating the person he is. Appreciating his goals, his mission, his vision. And yes, also appreciating him for the things he does and for his actions. Maybe he isn’t doing something exactly the way you want, but most of the time his intentions are still good. I’ve interviewed countless men over the years as part of my research for books and articles and the most common reason cited for why a man will leave, or even divorce, a woman he loves is that he no longer felt appreciated by her. He didn’t feel good around her anymore. He felt like he couldn’t be himself, like he would be shamed or guilted for it. When a woman appreciates her man, he feels charged and inspired. When she doesn’t appreciate, and instead nags and criticizes and makes him feel like a failure, he feels crippled and drained and that’s when his feelings begin to shift and he starts moving away from the relationship. As two lives merge to one, it’s natural that the life you once knew will change. Your partner will factor in more prominently than other people in your life, but that doesn’t mean you should forget them entirely! Maintaining some semblance of your old life is a good thing in a relationship. It keeps the battery in the relationship charged, it keeps the spark alive, it keeps both of your interesting to one another. It gives you new things to talk about and also gives you the space to miss each other a little. Another element of this is if you no longer take care of yourself. Yes, it’s natural to relax a bit once you’re in a committed relationship, but that doesn’t mean you’re completely off the hook when it comes to self-care. For one, taking care of yourself will make you feel good about yourself. But it is also really important for the sake of your relationship. 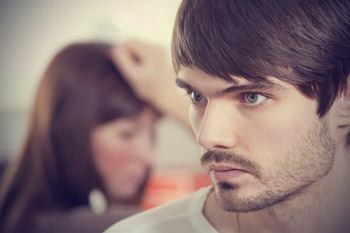 When you put effort into your appearance, your man feels special and it also makes you more attractive to him, which is important no matter what stage of a relationship you’re in. I’m not saying drive yourself crazy, but just be a bit more mindful. Mentally compare how you behaved and looked in the early stages of your relationship to now and see how the two stack up. You might be surprised to learn that those two beings are essentially night and day! Now I know this can be a touchy subject so I just want to make sure I’m clear on something. Men will forgive things like aging, gaining weight after pregnancy, and things like that. He doesn’t expect you to be frozen in time. 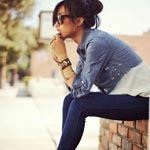 Partners forgive realities of being a human… what partners can’t forgive is when it feels like you stopped caring or stopped trying. This ties into a man’s need to feel appreciated. Men have an underlying need to make women happy. A man will leave any woman, even the hottest supermodel, if he doesn’t feel that he can make her happy. You may reflexively want to protest and list all your personal examples that prove this isn’t the case, but it’s just a universal truth about men that you’re better off accepting. This ties into his need to feel appreciated. If you appreciate him and acknowledge him, he feels good about himself and the relationship and wants to do more and be better. At the same time, it’s important to mention that you should never expect a man to make you happy, or think it’s his job to make you happy. It isn’t. Only you are in charge of your sense of happiness and fulfillment in life. It’s something you create on your own and then spills into the relationship. A man does not want to be your sole source of happiness in this world. What he wants is to feel like he’s enhancing your life in a positive and significant way, whether it’s by the dates he takes you on, the insights he shares, or just his overall mode of being. Men love a happy woman and love knowing that their woman is pleased and satisfied with who he is and the things he does. If your interactions are mostly negative, the relationship will start to feel like a burden. 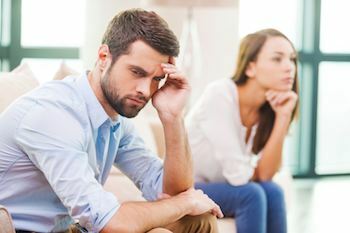 This often occurs when one or both partners try to extract happiness from the relationship instead of focusing on happiness in their own lives and letting that flow into the relationship. When a woman expects her man to “make” her happy, she becomes more of a strain on his life than someone he enjoys spending time with. One truth about men that Eric and I mention a lot is that men move toward what feels good, and avoid what feels bad. It’s a pretty simple truth that explains a lot of complex relationship issues. Now that doesn’t mean he’s going to bounce if it isn’t rainbows and sunshine all the time. A man will weather the storm for a woman he loves, and vice versa. It is an impossible and unrealistic expectation to think you will never face tough times. However, when the tough times are all the time, and problems and negativity are a reality rather than a rough patch, that’s when he starts to reassess. Don’t underestimate the destructive power of differing life goals. 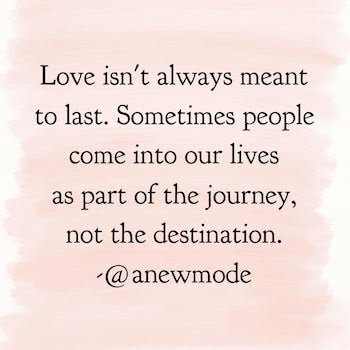 Maybe you’ve bought into the notion that love will just take care of inconsequential things like values and fundamental compatibility but it’s not the case. I have seen countless relationships combust over issues that were so obvious on the surface but went ignored or unacknowledged. My good friend left a woman he really loved because she valued a fancy sort of lifestyle. She enjoyed spending money as quickly as she could make it. He couldn’t wrap his head around the amount she spent on hair extensions, makeup, and clothing. He was the type who liked to save, it gave him feelings of safety and security knowing he had a solid nest egg. He was close to proposing to this woman, but he ended up breaking up with her instead because he just couldn’t handle her lavish lifestyle and it made him feel resentful and frustrated, and he also didn’t want to end up supporting her habits. Now, this could have been resolved if they compromised, but he was adamant about living a certain lifestyle and so was she. Neither was willing to give up on these values and so the relationship couldn’t work, even though they did really love each other. Different long term relationship goals can be about all kinds of things: wanting kids verse not wanting any, how many kids to have, living in the suburbs or city, what religion to practice, and different ways of seeing the world. Ideally, these things should be brought up relatively early on before you get in too deep. Don’t ignore it and think that it will all work out. This is probably one of the gravest relationship sins. Love can be an elevating experience, it can almost take you out of your body and into another stratosphere, but you still need to be realistic. The biggest factor in a relationship’s chances of success is who you choose. It doesn’t matter how subtle you think you’re being, men intuitively know when a woman is trying to fix them and it immediately sends a flag up in his mind. 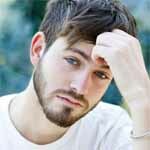 When a man feels constantly judged or picked apart, when he feels like he can’t be his true self, when he feels like you want him to be something he’s not, then he immediately begins to withdraw and pull away. A woman can have a truly transformational impact on her man, but you have to give him the space to grow and evolve into his best self rather than belittling and berating him until he gets there. Men are extremely sensitive to criticism and blame. Your intentions may be good, maybe you just want to connect with him and deepen the relationship, and maybe you feel hurt and frustrated by the status of things, but coming at him from a negative place, a place where you see him as the bad guy, will never work and instead will make any problems even worse. Show appreciation for who he is and try to avoid nagging, shaming, blaming, and worst of all, comparing him to other men, as much as possible. Being emotionally dependent on your man is a recipe for disaster. These relationships typically either turn toxic or implode. A man doesn’t want to be treated like your emotional dumping ground. He also doesn’t want to feel like your emotional well-being completely depends on him. That is way too much pressure and it’s not his job. As soon as he feels like you need him in order to feel OK about yourself, then he feels like he’s emotionally imprisoned. Men need to have a sense of freedom and autonomy in a relationship. This is just impossible with a needy woman and that’s why neediness is such a strong reason why relationships end. Men aren’t always able to articulate their feelings. He may not be able to explain that you’re being too needy, but he’ll just feel a shift within himself and a strong urge to get away. If you don’t think any of these reasons apply to your situation, then it could just be a case of he loves you…he just doesn’t love you enough. The reasons don’t matter, you can’t rationalize these things anyway. If someone is all in and loves you with all his heart, he will fight to make it work and won’t quit until he has given it all he’s got. If he gives it a little but then calls it quits and doesn’t want to try harder, it means he was never all in and this isn’t a loss for you. If someone is all in and loves you with all his heart, he will fight to make it work and won’t quit until he has given it all he’s got. If he gives it a little but then calls it quits and doesn’t want to try harder, it means he was never all in and this isn’t a loss for you. Love isn’t enough. You can’t forget about fundamental compatibility, common goals and values, chemistry, a shared vision of the future. 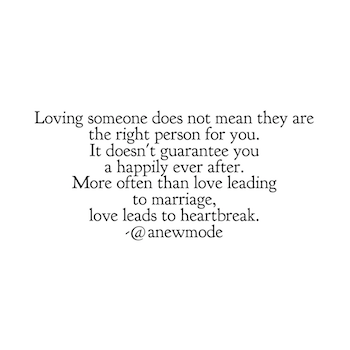 Love isn’t a passive process, you don’t just “fall” into it. Love is a verb, it is created and sustained through actions. You have to actively invest in your relationship or it will wither and wilt away. It’s a mistake to think that men are untrustworthy jerks who pick up and leave good women for no reason. Fear creates barriers and blocks and this prevents true love from really forming. Men don’t decide to leave one day, they leave because of a gradual breakdown that occurs over time. Keep working on your inner happiness, which impacts your ability to give and receive love. You’re not the same woman he fell in love with. He feels like she’s trying to fix him. I think that counts for women too. I have broken up with a guy I was in love with because I didn’t feel appreciated and noticed his trying to fix me. I have pulled away from a guy friend because he was too needy. What if the only thing that has changed is the uncertainty in the relationship, you’re moving in a serious direction led by him of bying apartments and planning children, and then all of a sudden he says that the spark is gone and is unsure about his love? None of the things on your list here apply…maybe he’s insecure?maybe he just freaked out? the thing is, that those freak outs hurt…a lot…specially when all guys jump onto tinder and start dating other people within a month of the breakup. That does not seem like love to me. Really Sabrina ..your thoughts are just amazing…i had also gone through this situation. No one is wrong ..situations made them wrong. Basically, breakdowns arises when there becomes a trust issues and trust is the root of every relationship. we have to just try to understand the needs of our partner and realize them that we really loves him/her. Man has been forgotten… they lost the real reason why they are men. A lot to do with living in a unhealthy world. Hes damaged from his last relationship and is running scared because he doesn’t want the past to repeat itself. He even realises this and can’t fix it. My last boyfriend and I adored each other. Had great communication but this is what ended us. He was just so scared. He’ was 55 years old.